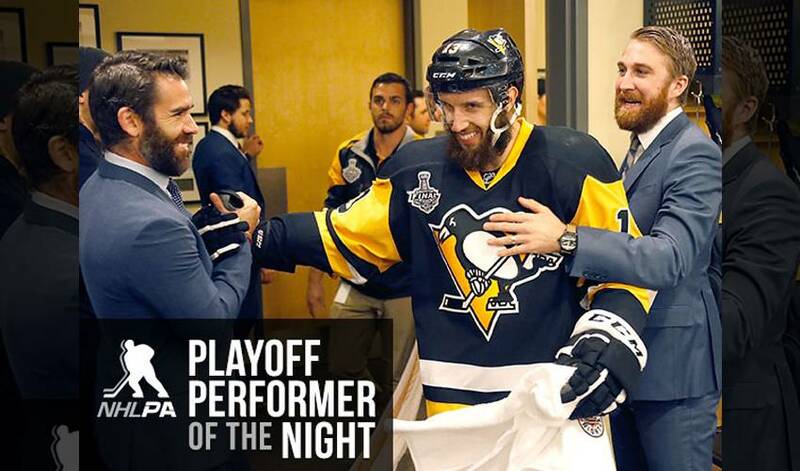 Nick Bonino takes home the PPOTN prize for his primetime performance in Game 1 of the Stanley Cup Final. The centreman scored the winning goal in the curtain-raising contest as Pittsburgh beat San Jose 3-2 on Monday night. STAT PACK: Bonino had one shot on goal, was a plus-1, recorded six blocked shots and took 25 shifts for 15:07 of ice time. BIRTHDAY BOY: Bonino shares a birthday (April 20) with actor Shemar Moore, actress Jessica Lange, NFL star Luke Kuechly and fellow NHL player Brent Seabrook. HONOURABLE MENTIONS: Conor Sheary and Bryan Rust scored for the Penguins. Kris Letang was a plus-2. Tomas Hertl and Patrick Marleau tallied for the Sharks, while Brent Burns posted two assists.